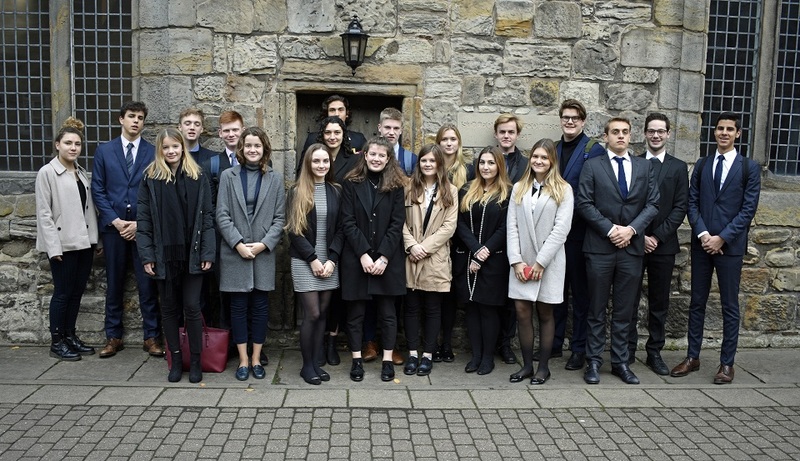 On Saturday, 10 November a group of 20 Year 13 pupils travelled to Kindrogan in Perthshire for our inaugural TOK Residential weekend. This was an opportunity for the students to participate in quiet study sessions at the centre, focussing on completing their TOK essay drafts for their IB Diploma. This wasn’t a case of all work and no play, and the group enjoyed games including ‘Wink Murder’ and ‘Witness’, all of which could be related to their TOK studies in some way. We have received brilliant feedback from the students who attended our first TOK Residential trip, and all involved have said they would strongly recommend it to Year 12 students next year. Thank you to Mr Seymour, Mrs Pemberton-Hislop and Miss Tawse for accompanying the trip, and ensuring a productive but still fun weekend was had by all.